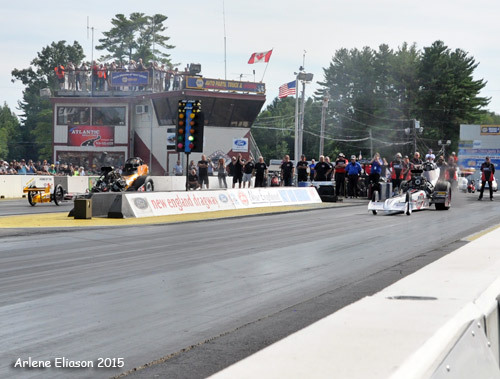 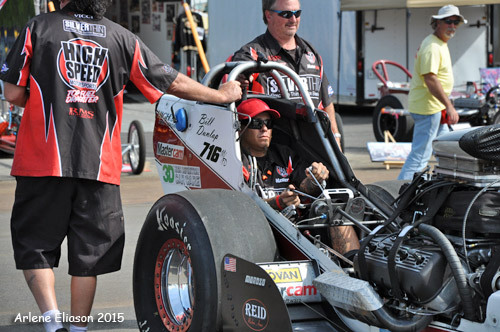 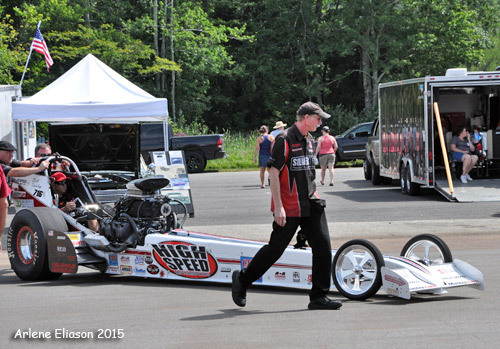 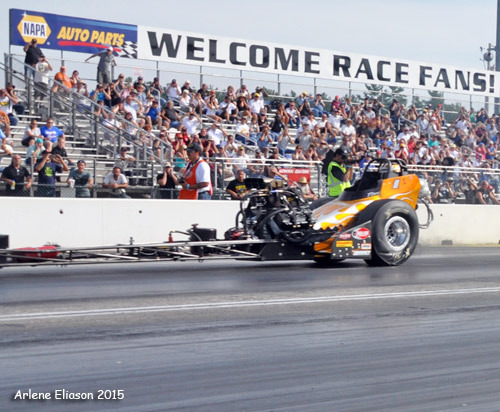 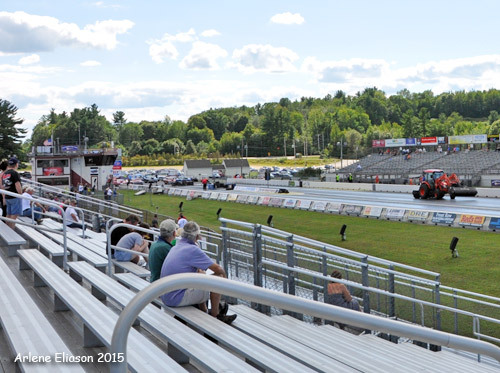 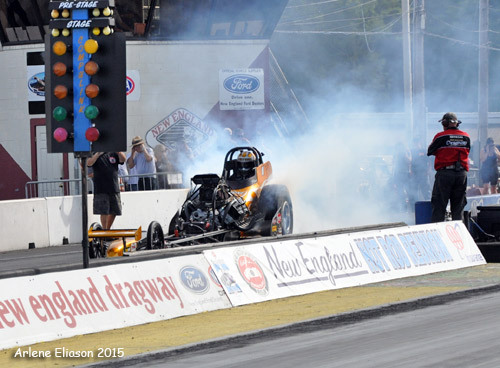 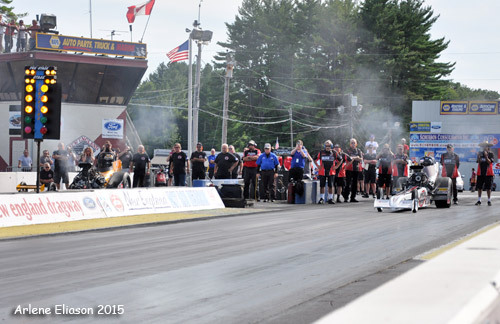 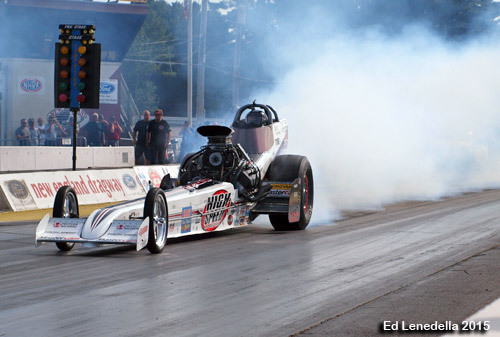 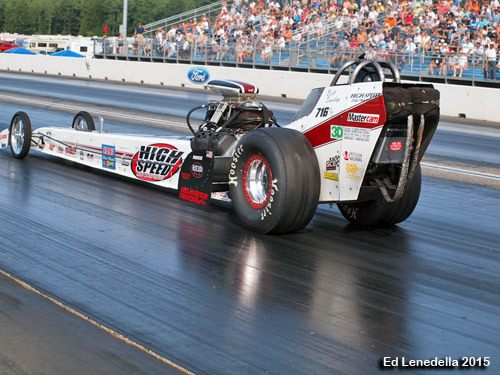 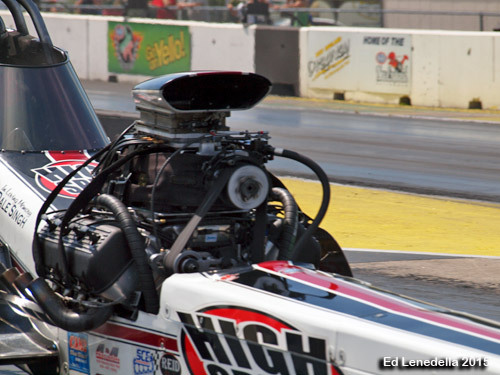 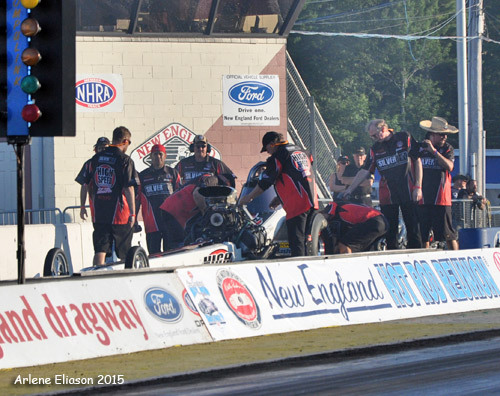 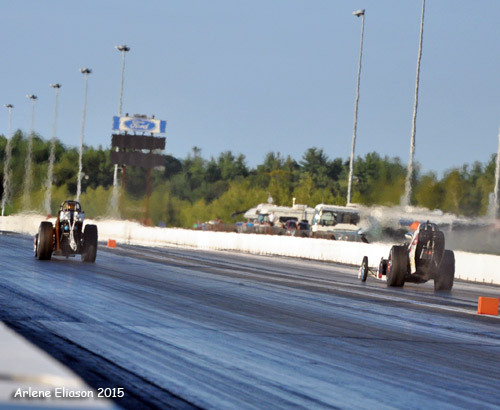 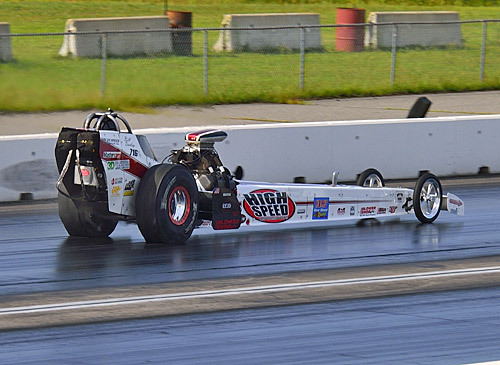 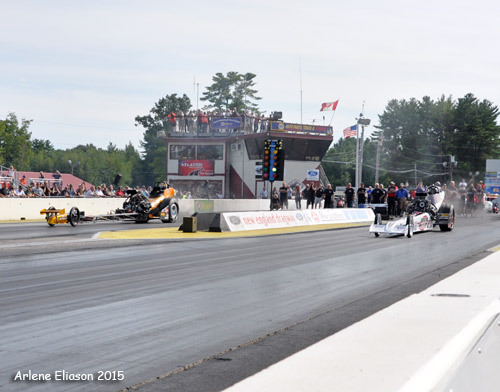 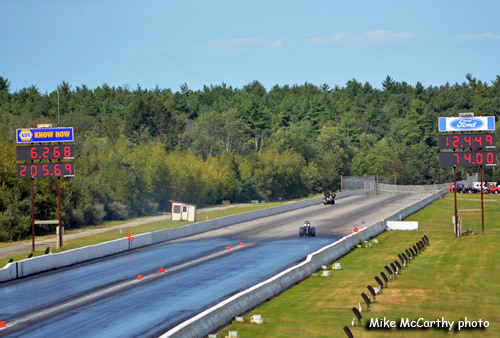 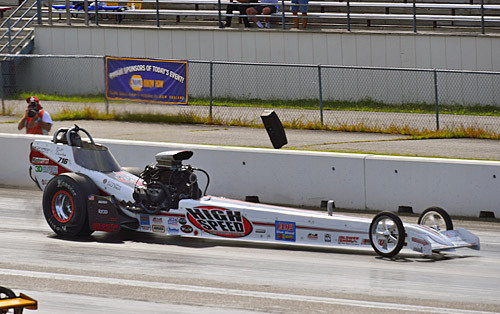 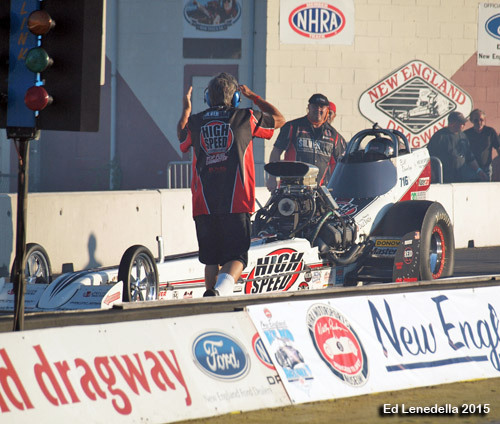 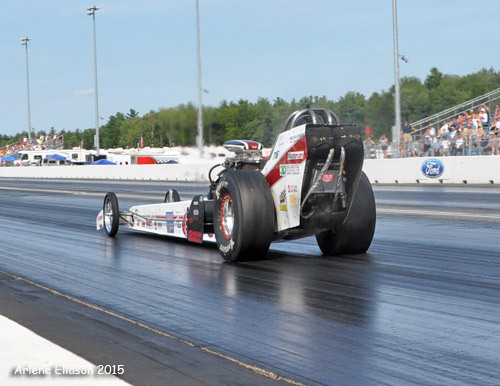 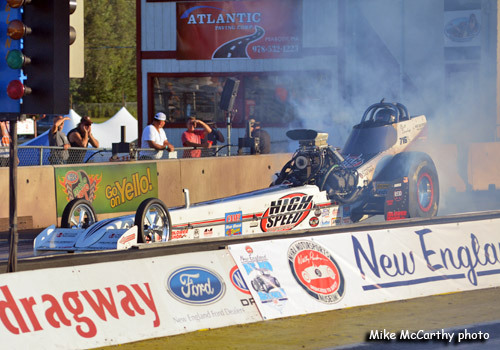 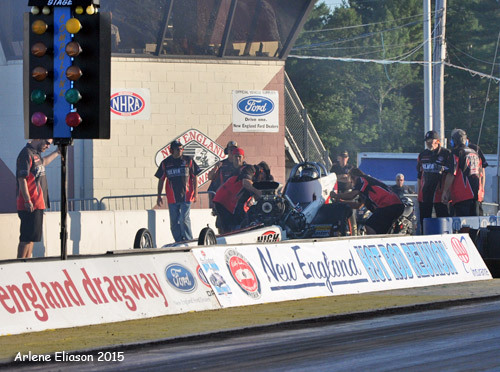 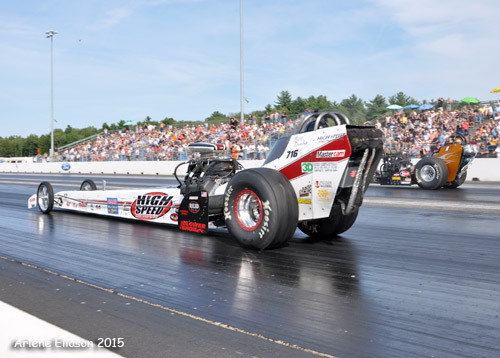 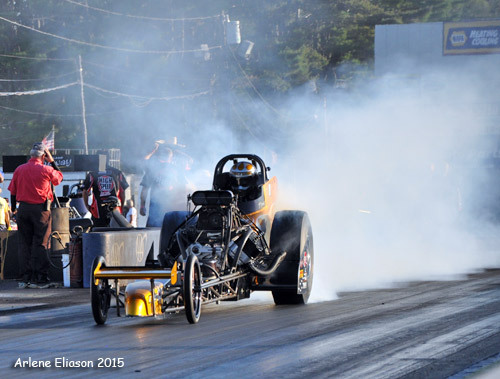 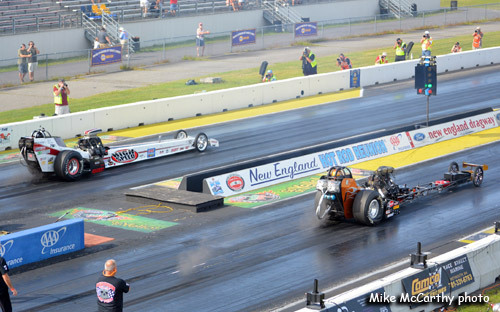 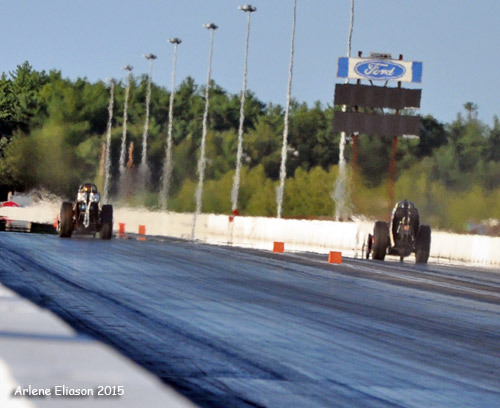 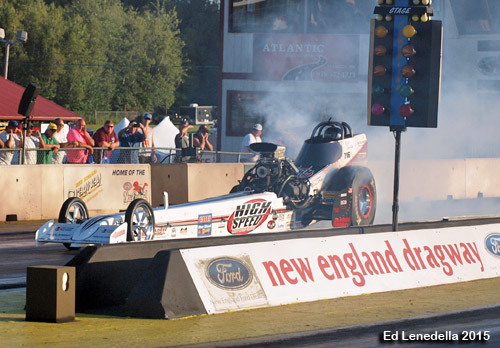 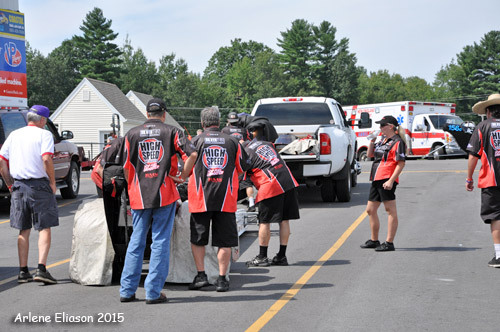 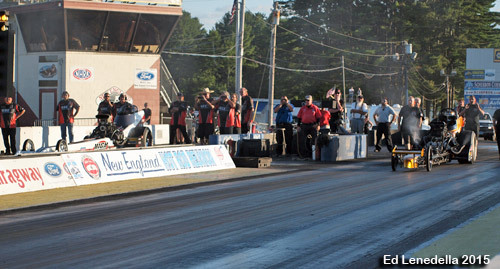 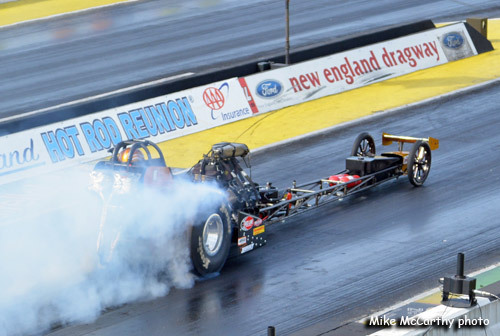 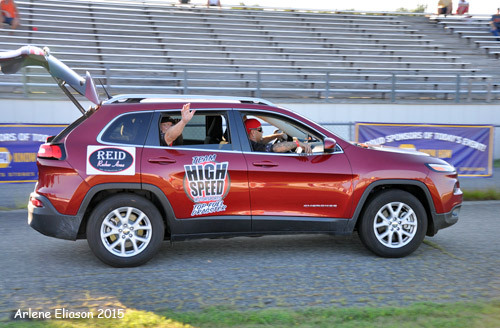 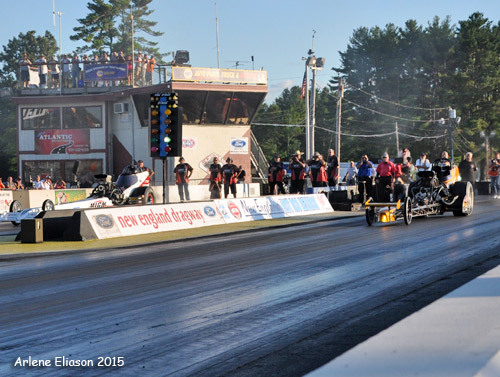 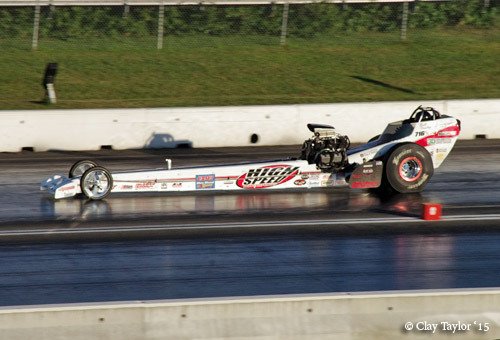 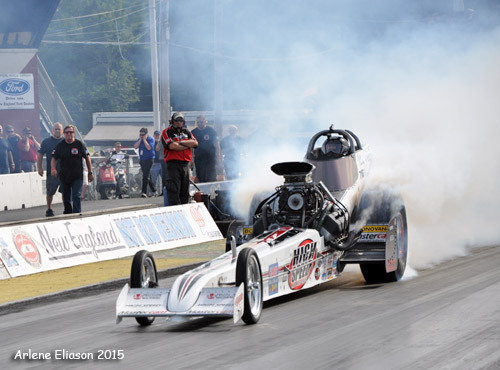 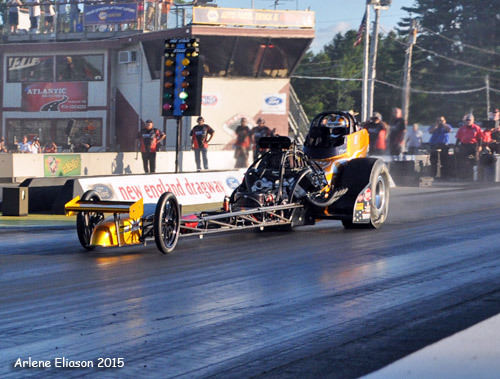 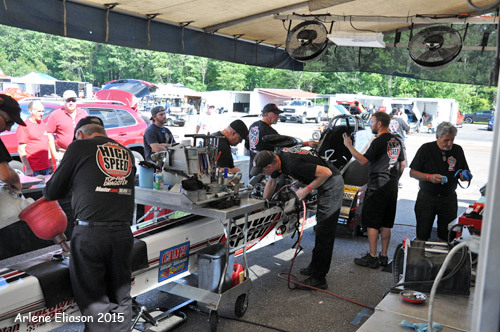 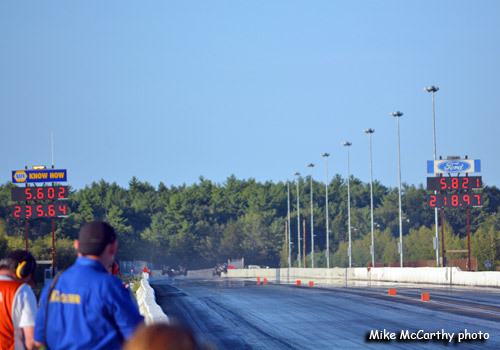 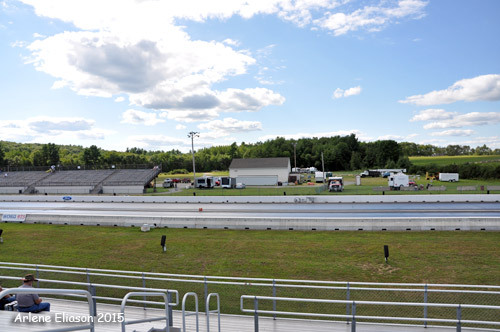 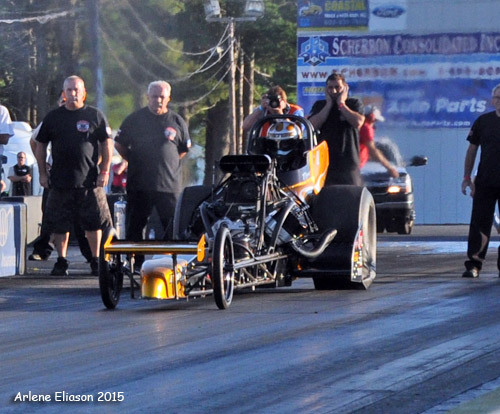 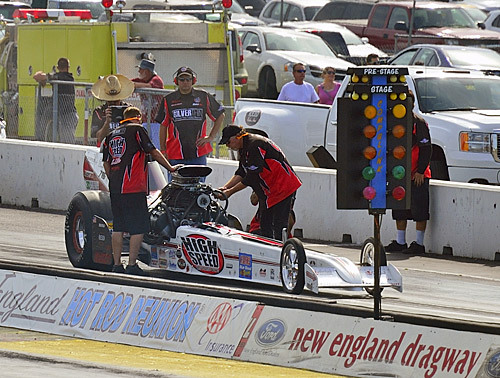 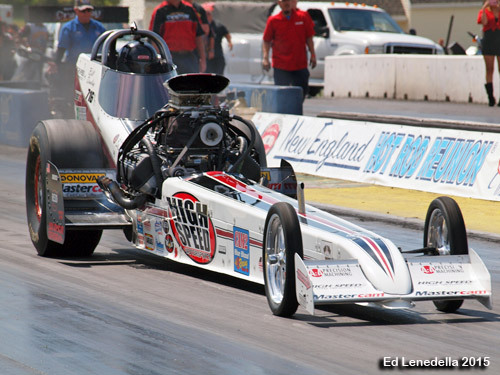 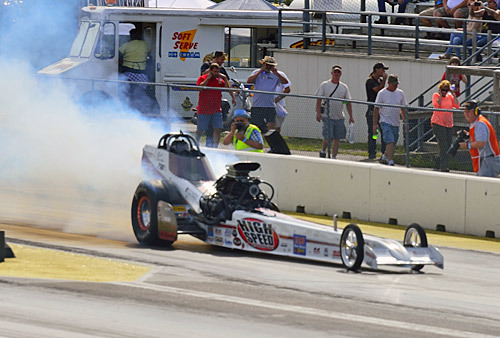 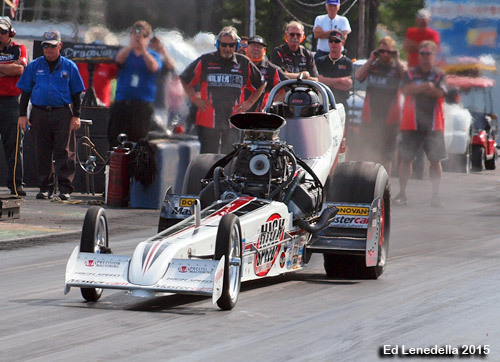 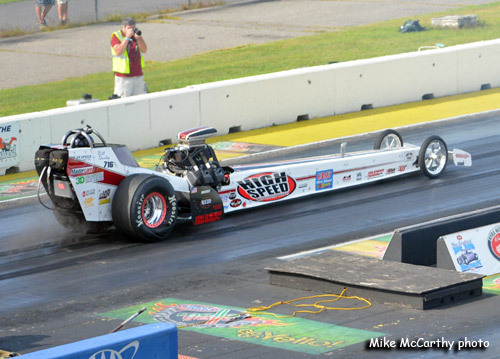 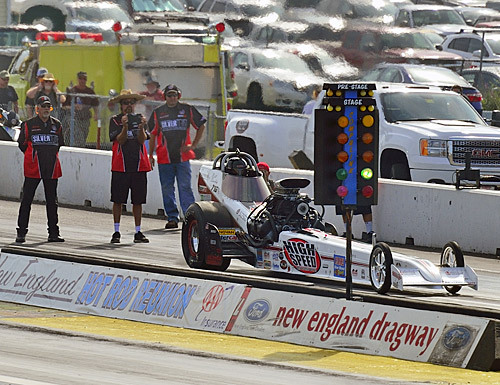 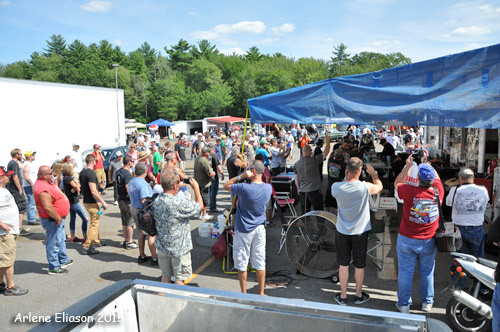 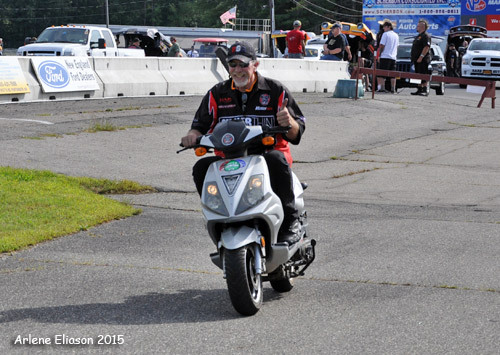 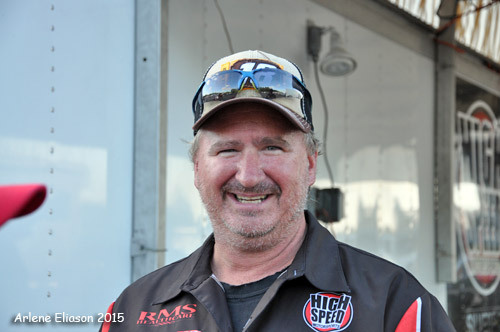 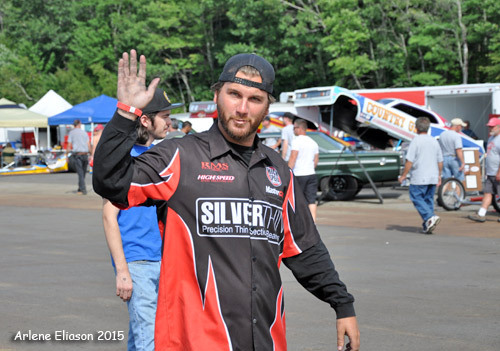 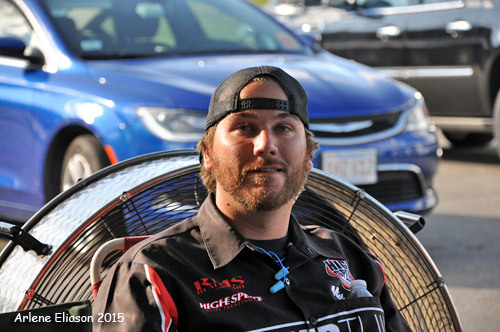 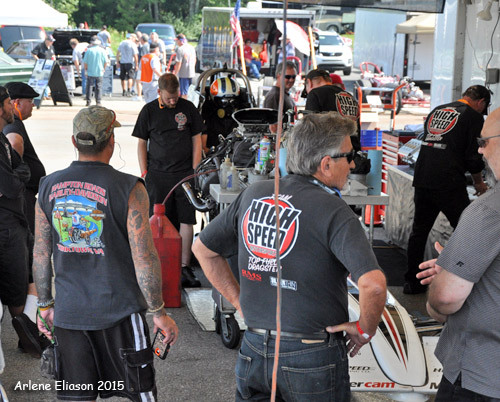 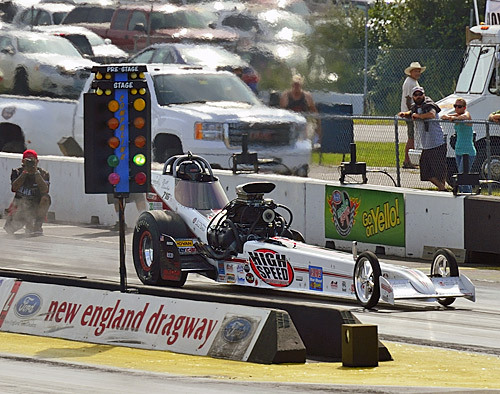 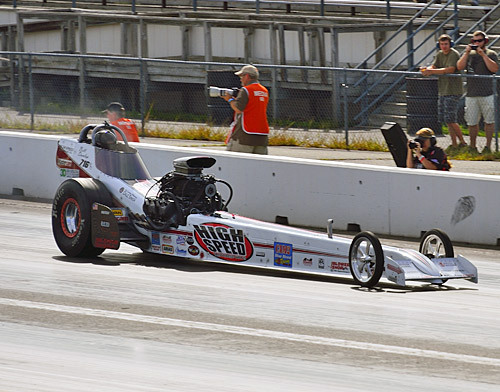 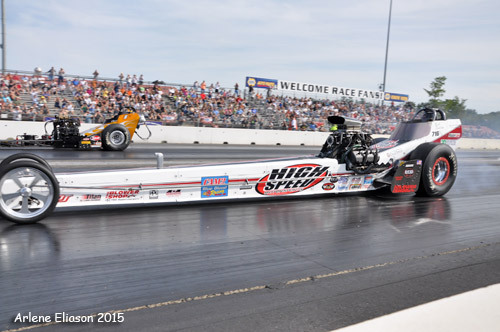 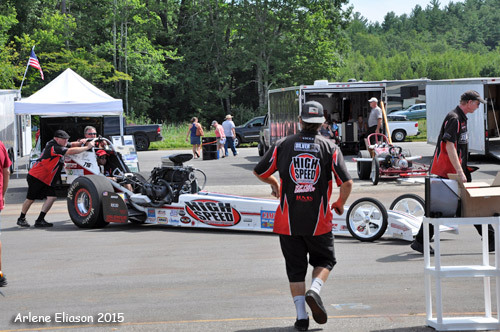 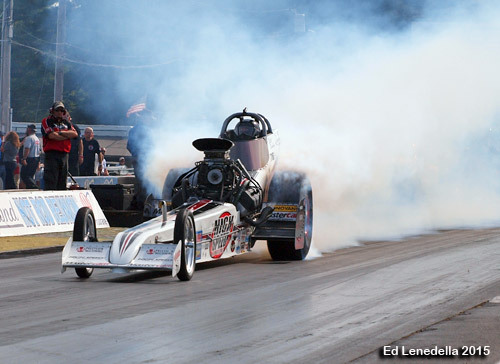 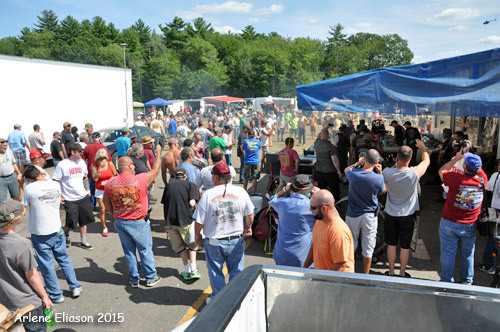 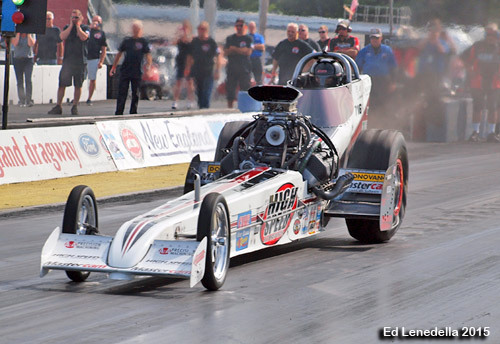 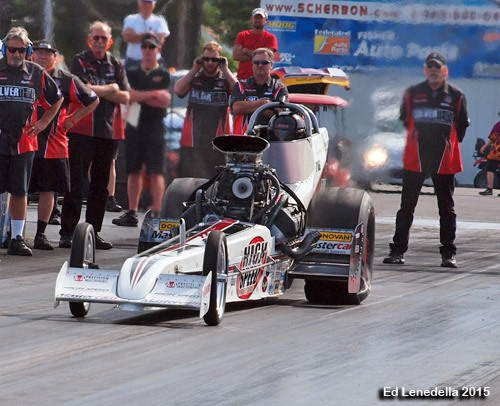 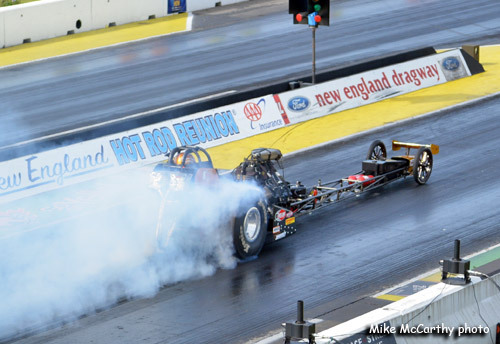 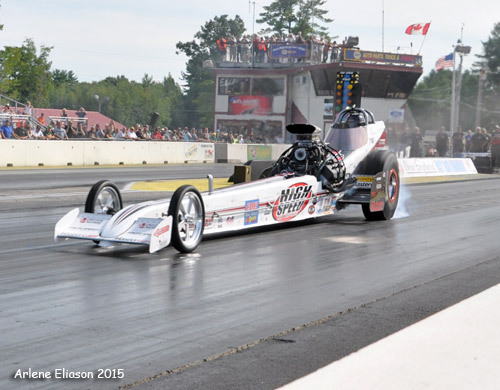 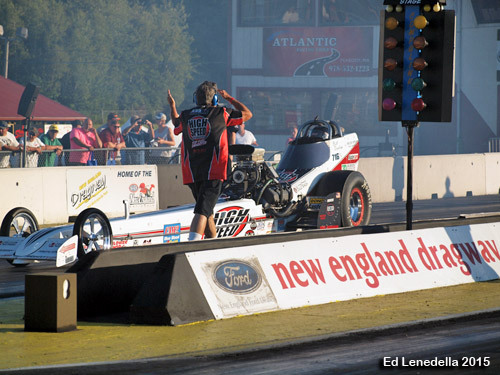 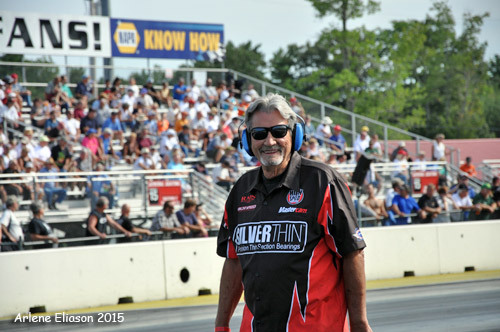 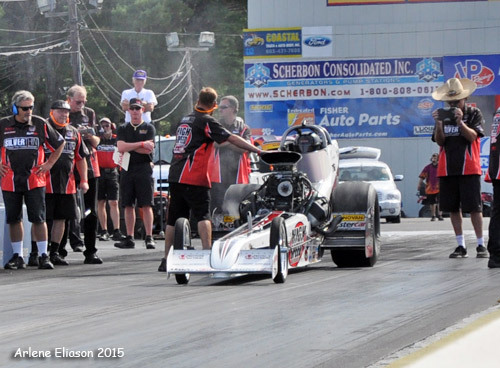 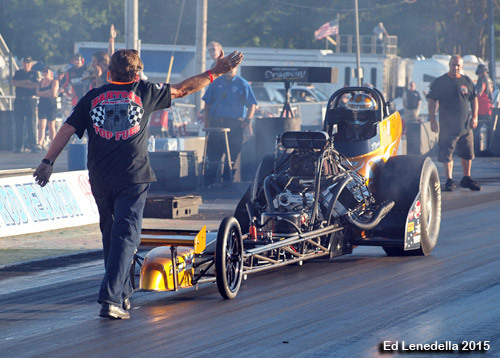 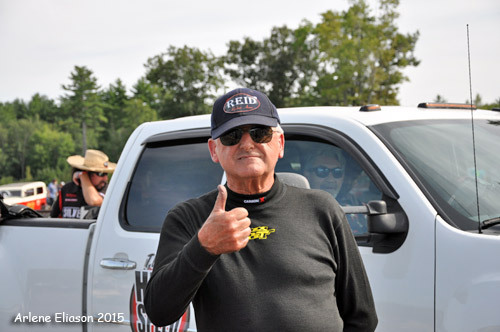 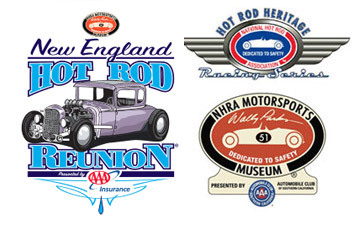 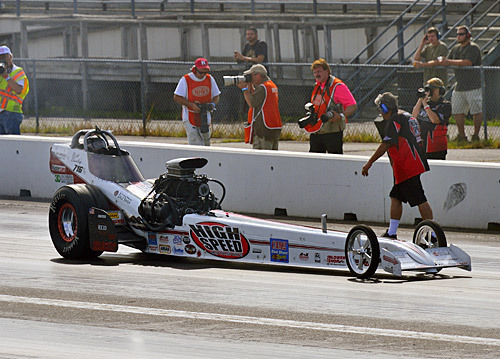 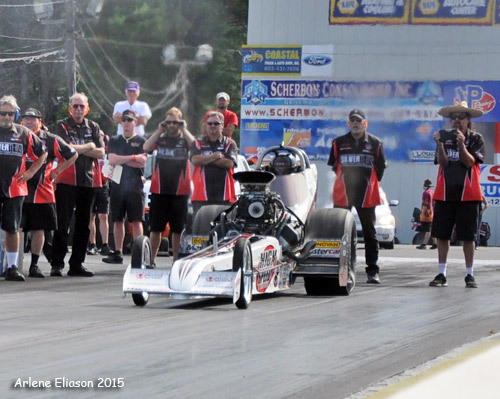 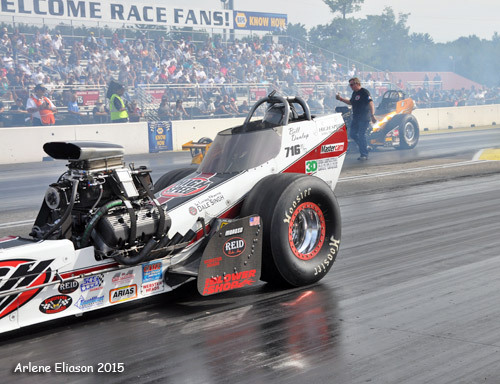 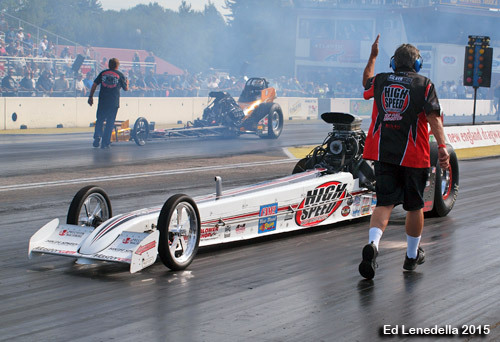 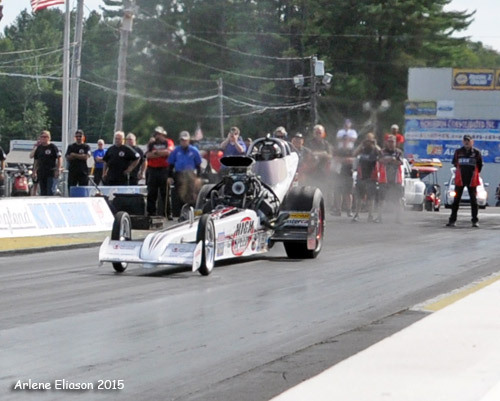 With hopes of still being able to overcome the points lead Tony Bartone had for the Hot Rod Heritage Racing Series Top Fuel title, Tom Shelar and the the High Speed Motorsports team made the coast-to-coast trip from Santa Ana, CA to New England Dragway in Epping, NH. 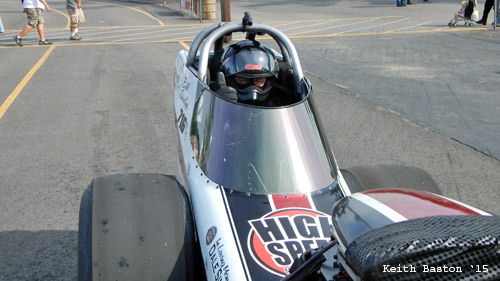 Those hopes were dashed when, after a change in the way the car leaves the line, Bill Dunlap went red in round one. 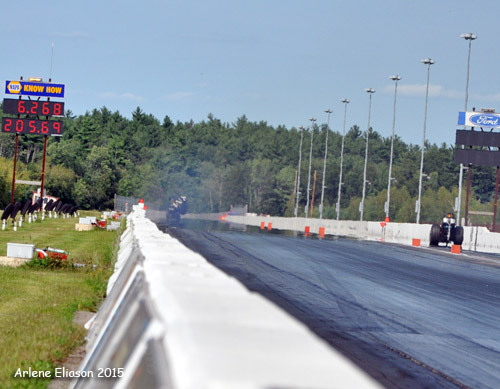 It was barely red (.025) but red nonetheless. 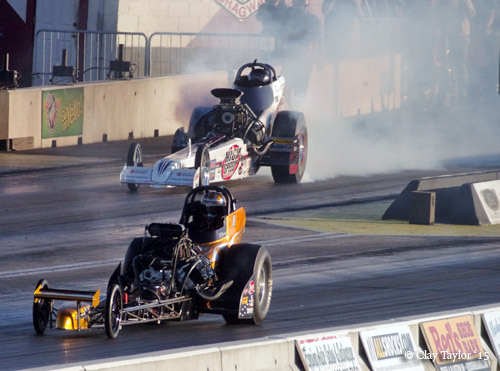 So after, after the long trip home, on September 19th they won the final 2015 Saturday Night Nitro event at Bakersfield running a career best ET of 5.63 in the process. 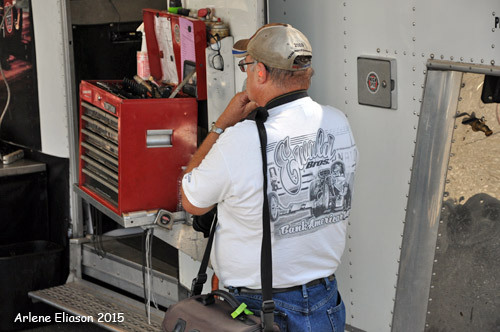 This leaves them primed to take another crack at title at the California Hot Rod Reunion in October. 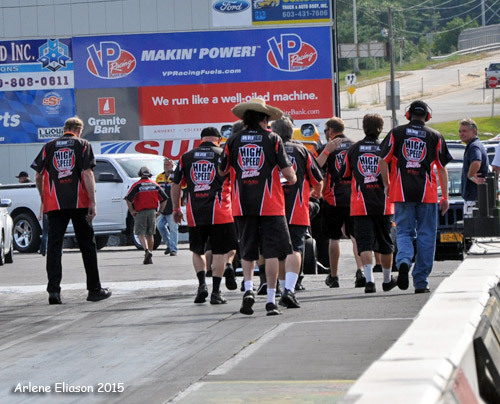 That said there were a lot of photos taken at Epping and the team will now share them with their fans. 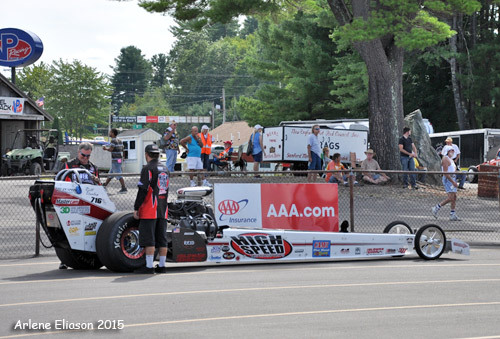 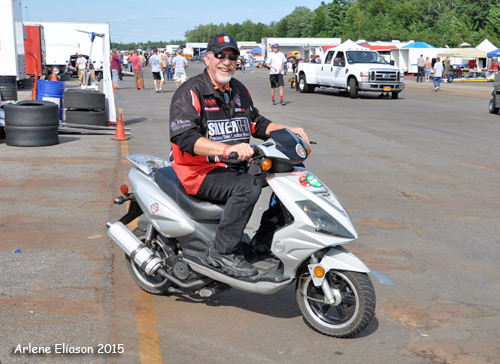 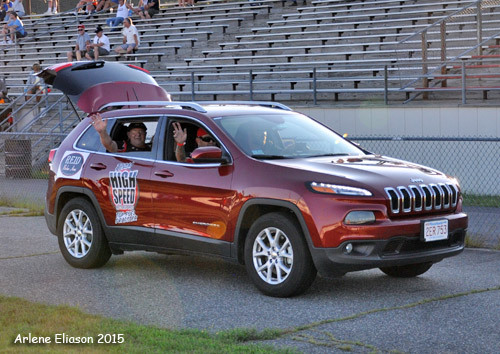 *Thanks to Gary Hargreaves, (VP of business development at CNC Software, Mastercam corporate) who drove 3 hrs with his wife Eileen to visit the Mastercam car at their local race. 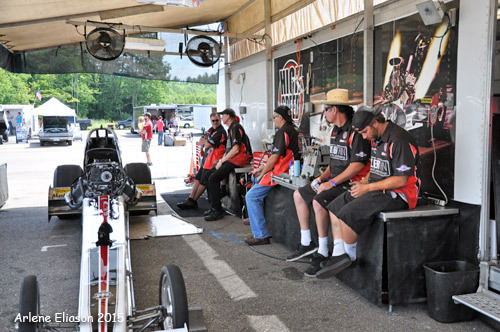 Friday morning, waiting for the first session of qualifying. 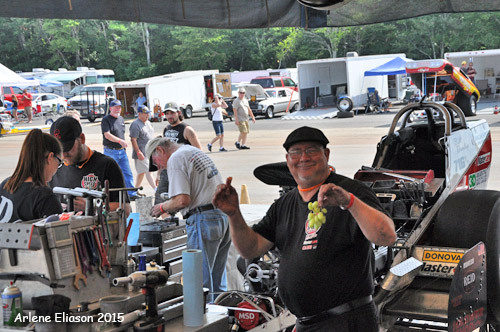 Darrell Reid with his catch of the day. 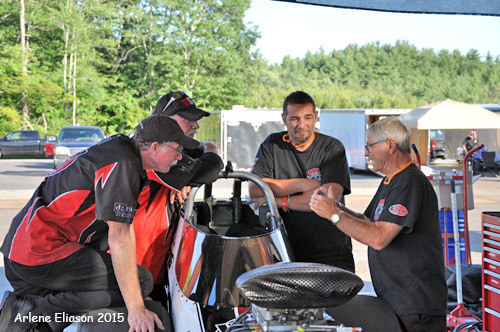 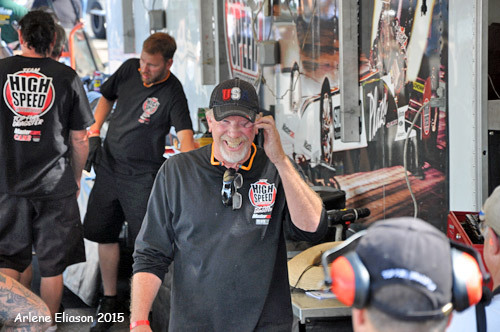 Rick and Tom Shelar with Barton's wizard crew chief, Steve Boggs and another Bartone crew member. 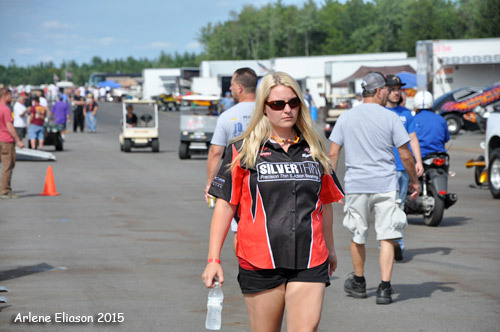 Sean Bellemeur got to bring fiance Ashley Clouse on this trip. 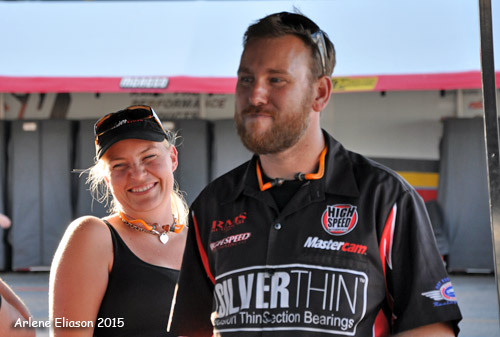 She too works at Cad/Cam and fits right in with the crew. 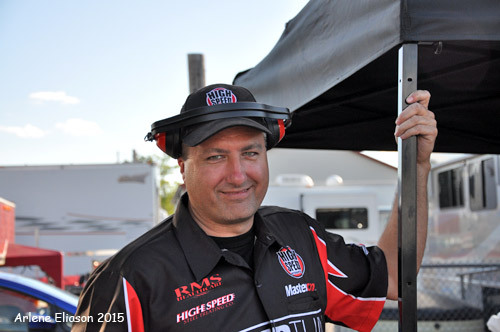 All dressed up wating for the dance to start. 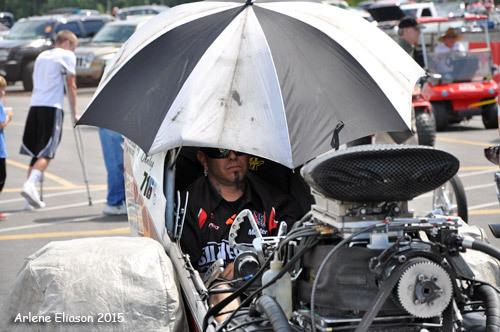 Off to the lanes, Al Rentarea Jr.in the car. 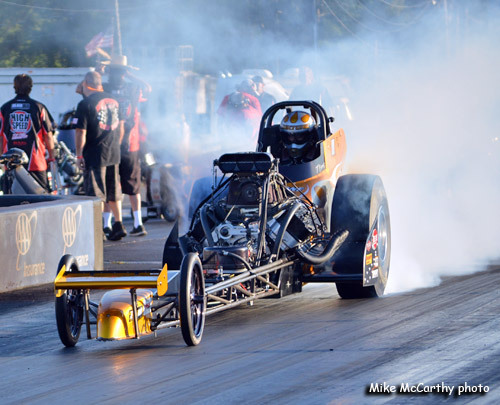 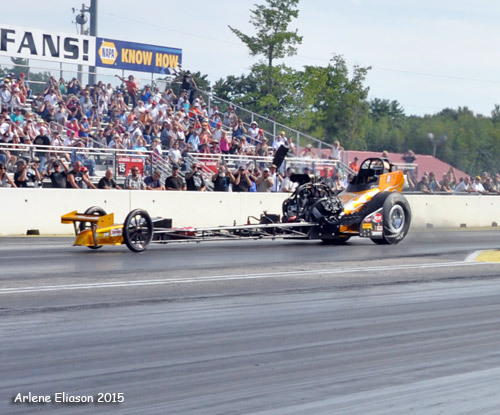 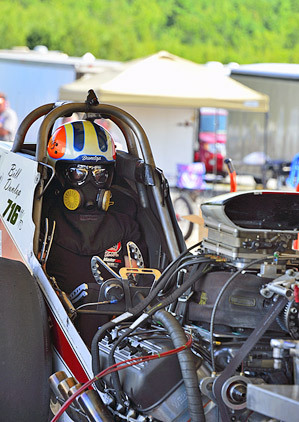 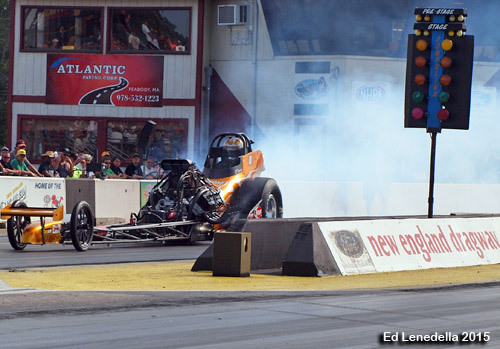 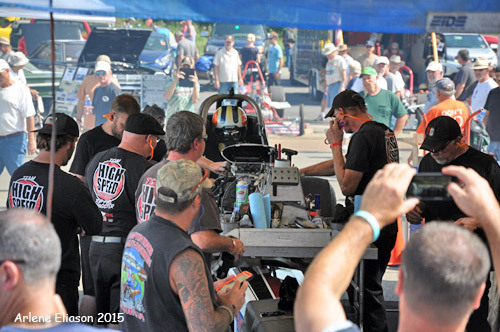 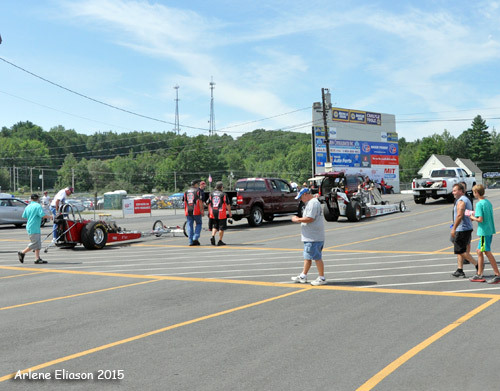 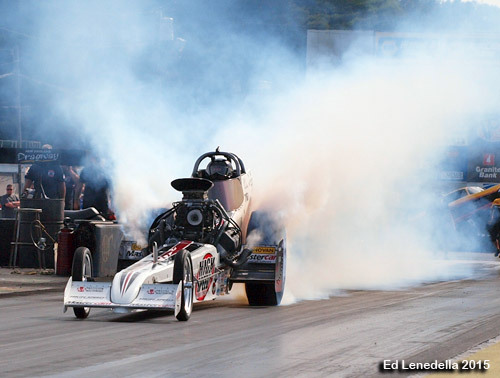 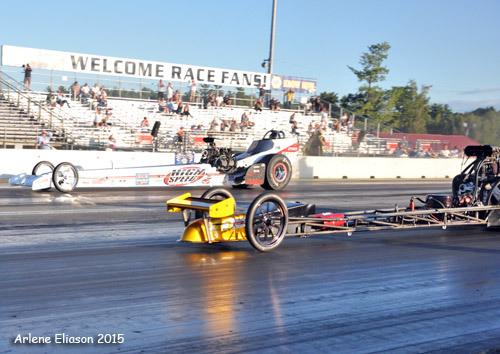 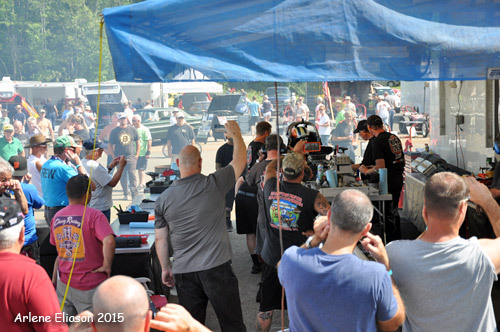 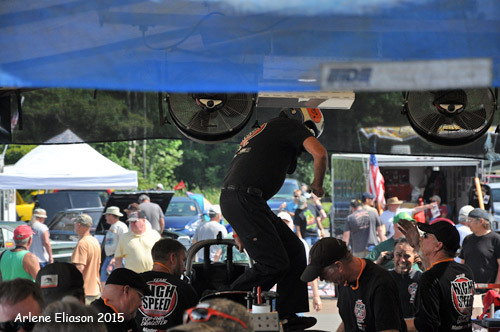 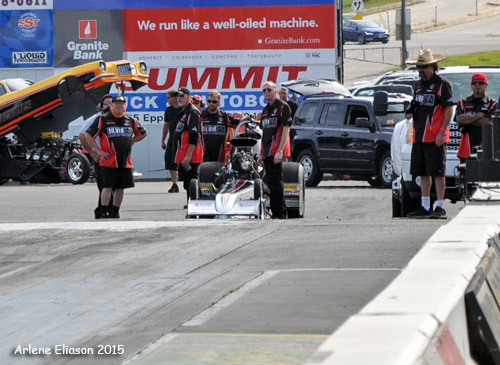 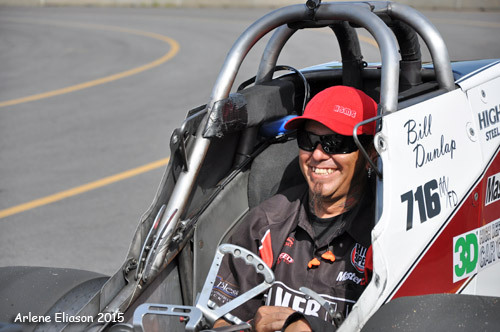 With only four Top Fuel cars in attendance, there was not a lot of urgency to make things happen. 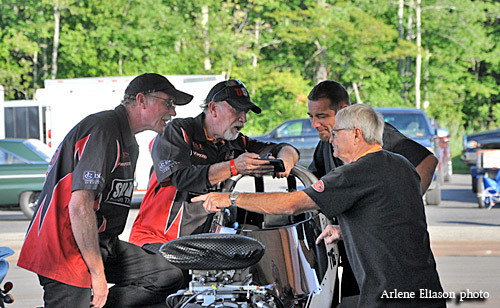 The only actual pair to run this session was Bill Dunlap and his current adversary, Tony Bartone. 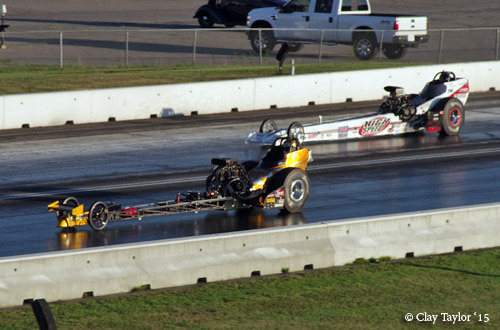 Both cars left hard with stout early numbers. 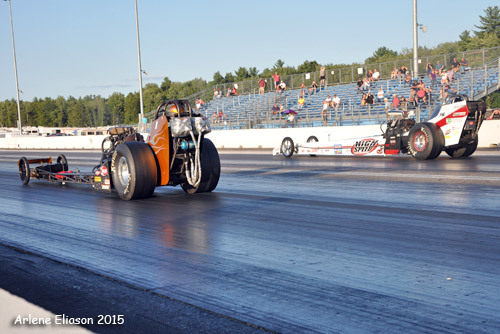 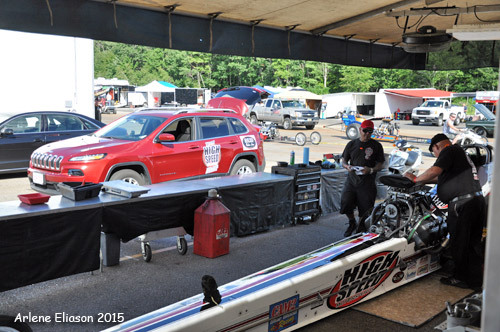 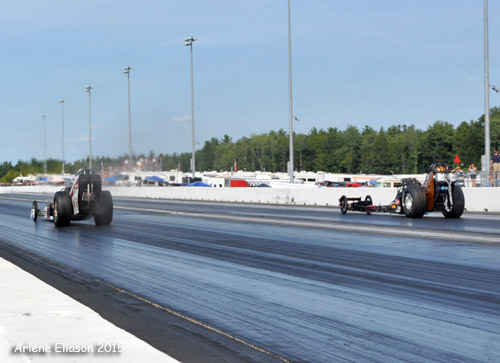 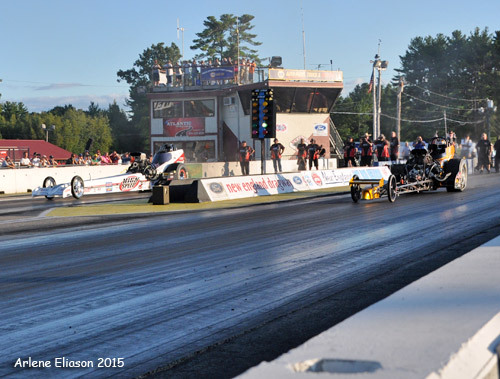 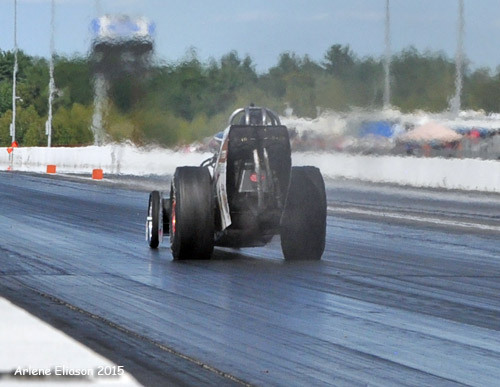 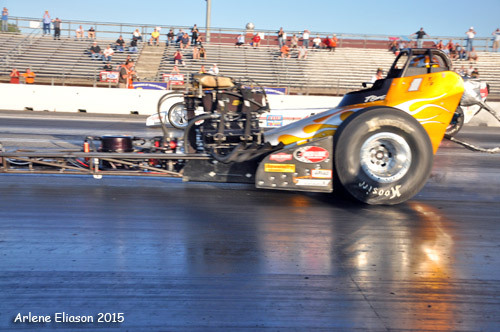 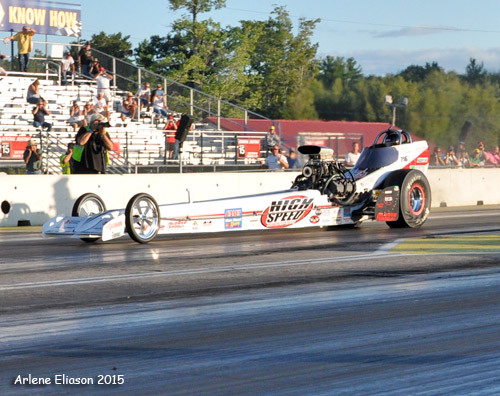 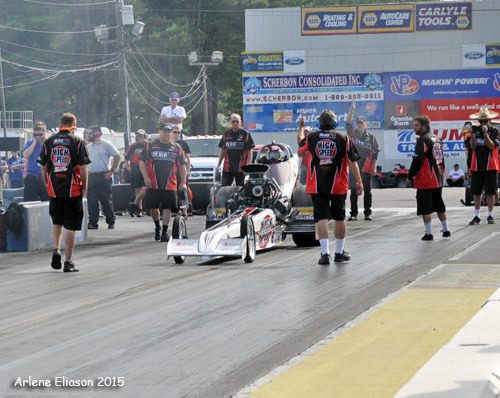 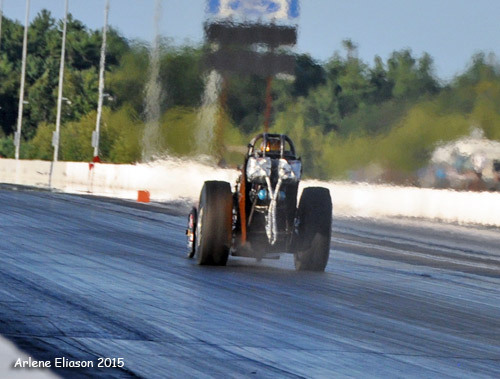 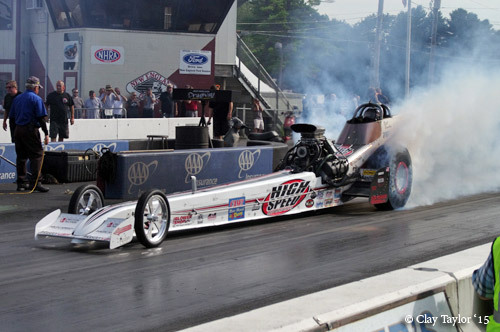 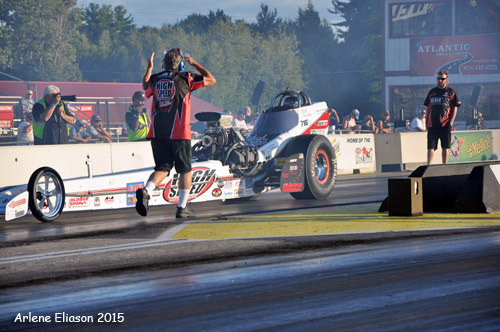 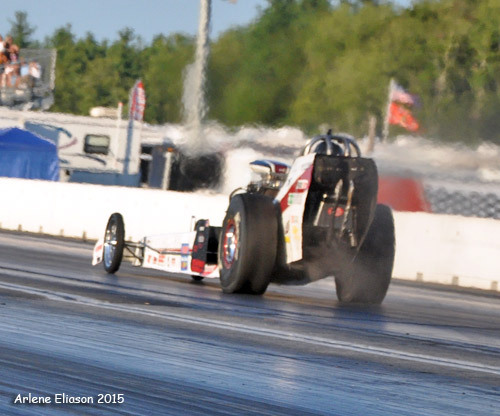 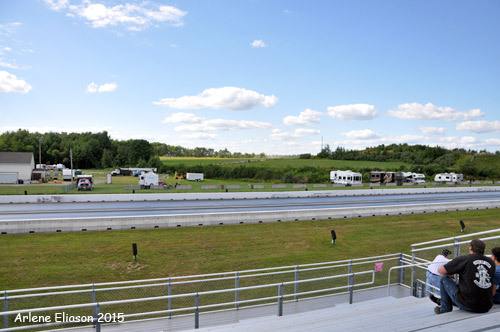 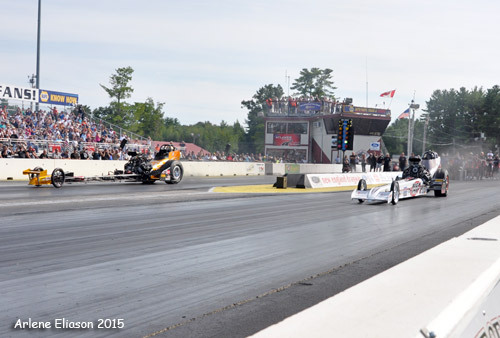 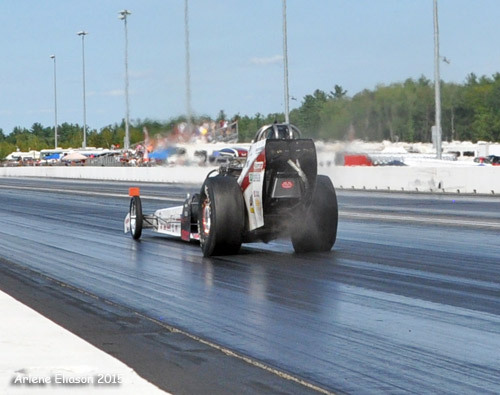 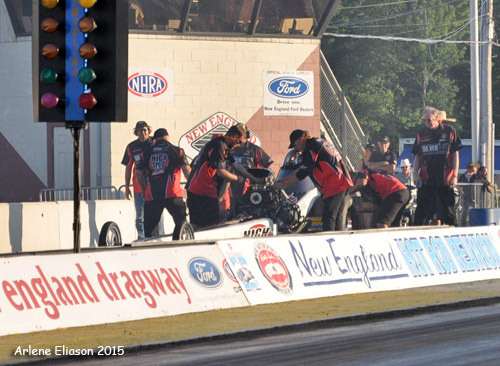 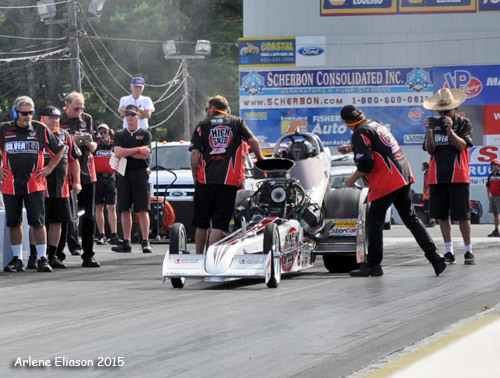 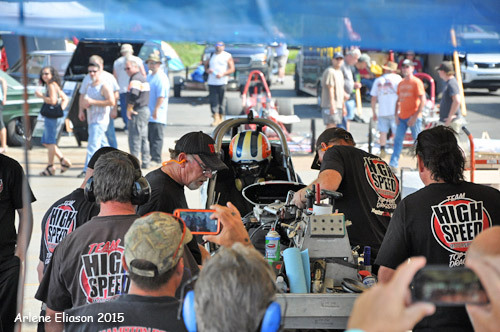 Bartone stopped the clocks with a 5.602 at 235.64 while Dunlap, on a tune-up pass, carded a 5.821 at just 218.97. 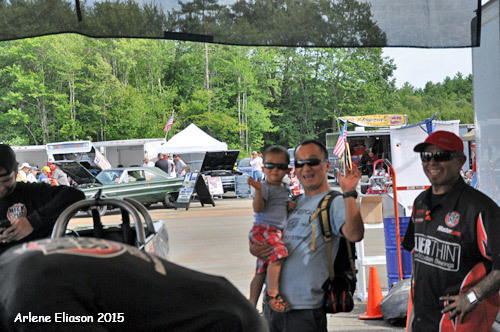 Saturday found the warm up for session two attracting a ton of fans. 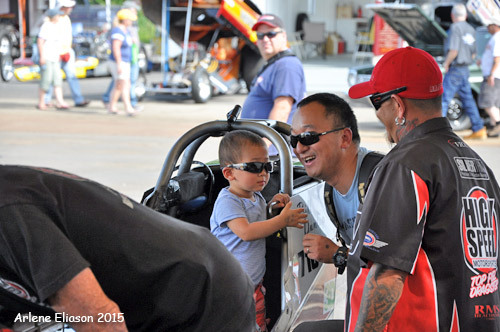 Kay Wang, applications engineer at CNC Software was out with his family to get and up close and personal feel for drag racing. 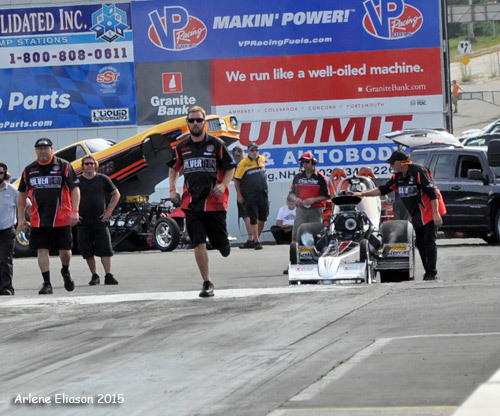 Once again Dunlap was paired with Bartone. 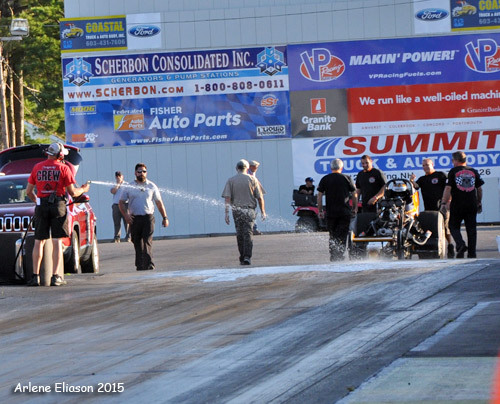 Both cars had hard leaves, both cars had tire shake early. 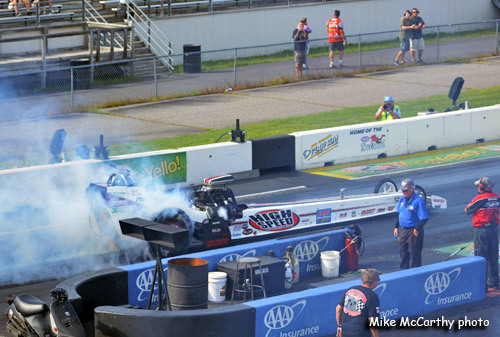 Bartone rattled the tires first and immediately shut off. 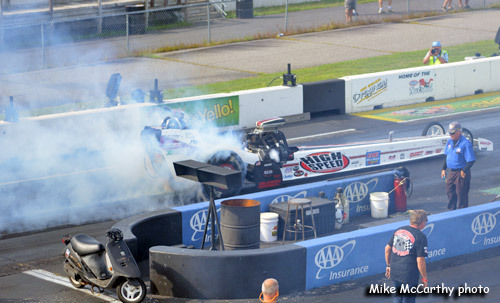 Dunlap went into tire shake and smoke an instant later. 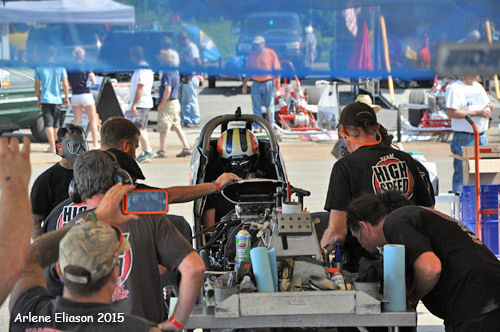 Dunlap let the car settle then rolled into the throttle so they would at least have some data for the tune-up.